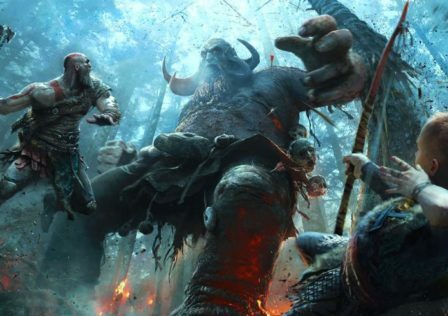 Is Atreus more powerful then we think? 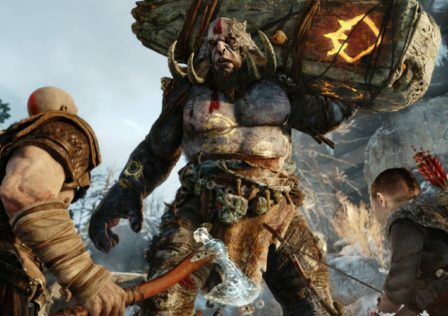 Ok so I got God of war quite recently (yes I know I’m late to the party) but from some digging into who Atreus and what we see in the game but is Atreus more powerful then the whole Norse Gods.? Point 1: 2nd time playing the game and putting bits and pieces together and researching in what abilities Atreus has so in the game we see multiple clues/hints that Atreus has multiple god like powers like at the start of the game when you first meet the world serpent Atreus can understand him and towards the end of the game on the last boss battle with Baldur , Atreus calls the world serpent for aid and spoke a forgotten language that right is a massive thing because how else would a father communicate with his son. Point 2: When you Magni the 2nd time around at Tyr’s vault Atreus enters his spartan rage that by itself is powerful it increases strength , durability and agility but then Atreus goes into the sick state that ties in with point 3. Point 3: As you leave Tyr’s vault and start rowing to Freya for help when you look up in the sky you see that there is a massive storm cloud with a tornado like thing in the centre with a fair bit of light coming from the centre I think because of his spartan rage coming from Kratos but he’s also the grandson of Odin as well and sons of gods have been occasionally been able to gain the same powers as their fathers ( eg Percy Jackson who is the son of Poseidon who gains the same base power ) and as I said before Atreus unlocks his spartan rage which is from Kratos and so many people have pointed this out but I’m certain that Atreus didn’t just inherits his fathers abilities but also his grandfathers. Point 4: When you get to Thamur’s corpse you have to find a way to break the ice to get access to the chisel and Kratos had a plan on using the hammer that stood over Thamur’s body and break the ice to get down now I didn’t suspect it much at first but doing that a second time around when you get to the top to push the hammer you see both Kratos and Atreus push but if you notice their footing when both of them push both of their legs get pushed back and some people would be like “oh that’s just Kratos pushing he wanted Atreus to feel something” but they both slide back now know I don’t have enough evidence to proof that Atreus has super strength but go back to that mission and watch. 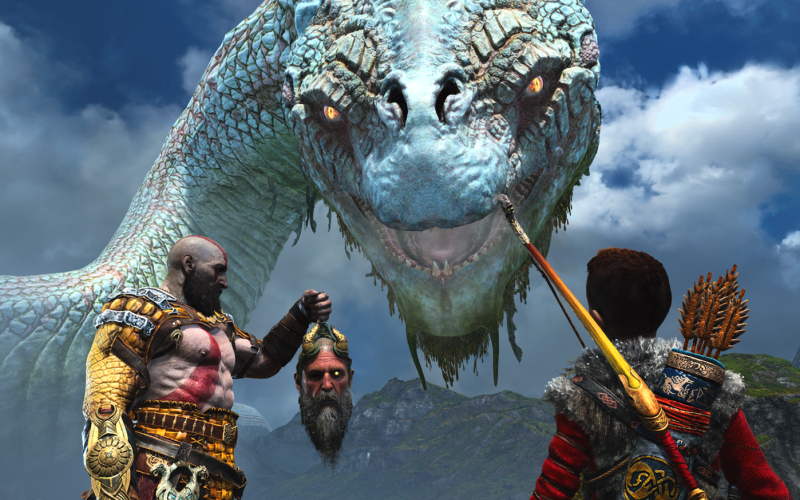 Point 5: Ok now I’m gonna be talking about who Atreus really is , so at the end of the game we find out that Atreus is Loki and now everybody knows who he is , the god of mischief the father to fenrir and the world serpent and as I do I delve deeper and he’s also the father of hel the goddess of death is Loki’s daughter now if you haven’t researched on who Loki really is in Norse mythology do it anyways now that is just a massive thing and what I’ve seen in the god of war novel that goes before the events of the game people are saying hel was in it and also fenrir if this is true then what are they doing back in time as well. 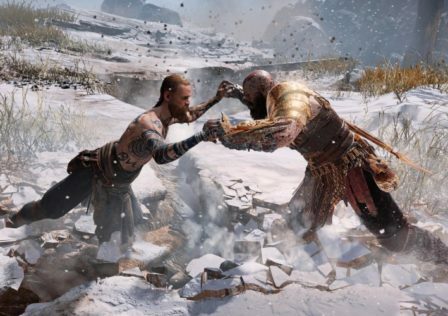 Ok now my last couple of words at the end of the game when you get to jotunheim when you enter the temple you see that Faye told the giants the travel that Atreus and Kratos will have and and see much further into the future and see that Kratos dies in some way and also ties in with Thor ending I believe because Atreus has a vision with Thor coming to the house and before the cutscene it says a few years later but what I’m getting at is will Thor be the reason why Kratos dies and is that where they will begin Atreus journey on his own in god of war 5 if so this just truly would be amazing. But what do you think Is Atreus the most powerful god? Thanks for ready if you think this is interesting please leave some thoughts on this and if you have anything else to add in go a head and write it down. Now this is just a theory on what The future for Atreus would be as well Thanks for the read. Should Atreus take on Shinto Mythology? © Post "Is Atreus more powerful then we think?" for game God of War. Is anyone afraid of the Ghost of Bioware?